The fads, products, and training myths featured in Debunked! are, in my scientific opinion, an utter waste of time, effort, and money. I’ll investigate each topic, present my sources, explain my rationale, and then provide recommendations for more effective solutions. The inaugural Debunked! article focuses on Juice Plus+®. If you want to read the quick version of this article (under 3 minutes), click here. 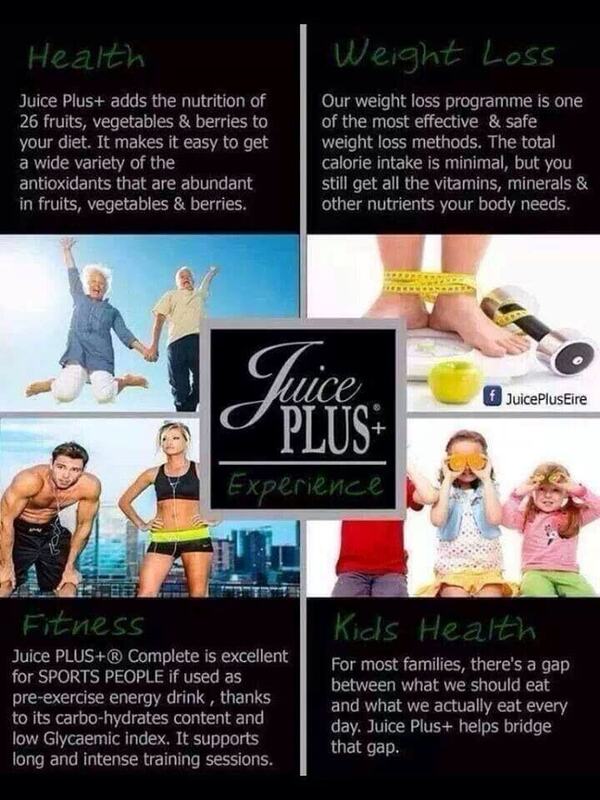 Juice Plus+® is becoming quite prevalent in the health & fitness community. At least it is in my area. Several local fitness & personal training studios have begun selling Juice Plus+® to their clients. Juice Plus+® is sold through multi-level marketing (commonly demeaned as a pyramid scheme). The goal of each salesperson is to not only sell the product, but to also sign up additional salespeople. By signing up additional sales people, the original salesperson increases their commission. I’ve been approached by several local sales representatives, including fitness studios, to sell Juice Plus+® to my clients. I have an open mind but was trained to be skeptical of all things. This article is a result of my own reading of every single study, combined with the analysis done by others. It’s also based on my conversations with several Juice Plus+® salespeople in my region. In my conversations with sales reps, they were unable to discuss the science beyond mentioning the sheer number of studies performed. It was clear that they hadn’t read it, or simply didn’t understand it. In each case, the salesperson relied only on anecdotes to push the product. In addition, several of the selling points are flimsy, misleading, or otherwise meaningless. In one case, when faced with the scientific facts, the salesperson simply retorted that she had seen the product “legit save lives”. This is a dangerous and incredibly unethical claim to make in a sales situation. There is insufficient scientific proof that even a multivitamin can protect against cardiovascular disease or cancer. (Source) In addition, there is insufficient proof that supplementation with Vitamin A or Vitamin can reduce the risk for heart disease or cancer. (Source). First: What is Juice Plus+®? On the sale page for Juice Plus+®, the closest thing to a health benefit mentioned is: “Each ingredient is specially selected to provide you with a wide range of nutritional benefits. Juice Plus+®+ is made from fresh, high-quality, healthful fruits and vegetables and is carefully tested to ensure that no pesticides or other contaminants affect the natural purity of the product.” The advertised benefit, officially, is that you will receive “nutritional benefits”. On top of that, it’s safe because it’s not made with pesticides or contaminants. This is a major red flag. To be clear: the Juice Plus+® website itself (specifically, the page to purchase the product) does not advertise any specific benefit that you will receive from taking Juice Plus+®. Zero. Nada. Nothing. There are vague references to nutrients found in fruit. There are references to safety. There are references to antioxidants. But there are no references to the health benefits of powdered fruits and vegetables on the sales page itself. In my personal experience, most of the claims are being made by salesperson themselves that are just regurgitating key points. These key points are designed to play on common elements of trust and emotion. Safety is a common theme. The benefits of fruits and vegetables are a common theme. What nutrients do you get out of it? In fact, each of the studies paid for by Juice Plus+® confirms that it ONLY contains those 4 vitamins. That’s it! In one of the studies that Juice Plus+® uses to tout it’s effectiveness, the following is listed: “These active ingredients were supplemented to provide declared totals (per daily dose) of b-carotene [vitamin A] (7.5 mg), vitamin E (46 mg), vitamin C (200 mg) and folic acid (400 lg)” (Source) If powdered fruits and vegetables were the “next best thing”, wouldn’t they have more vitamins and minerals? A single orange provides 85% of the Daily Value for Vitamin C. The Orchard Blend lists cranberries, oranges, cherries, and pineapple as ingredients. Each fruit contains Vitamin C. Yet the powdered fruit pill itself only provides 94% of the Daily Value. That alone should tell you something. The minimum price (Orchard + Garden) is $44.50 per month. The price for all 3 (Orchard + Garden + Vineyard) is $71.25 per month. Each carton is a 4-month supply, meaning the initial purchase is from $178 to $213.75. You’re paying $45 a month for only 4 nutrients. You’ll find this meme floating around social media. Sure, fruits and veggies are super healthy. Too bad that Juice Plus ONLY contains fortified Vitamins A, C, and E and Folate! To get everything else listed, you need to actually EAT the fruit or vegetable. Because a $30 multivitamin, any multivitamin, will provide you with far more nutrients than that. Remember, the goal of a multivitamin is insurance. To protect yourself against the inherent gaps in your nutrition. Most people eat the same thing every day. Seasonal availability of produce means that certain nutrients are harder to obtain year-round than others. Planning a diet to meet 100% of all nutritional needs is difficult to plan and harder to execute. Although, there is some very cool research that shows that a multivitamin (Centrum, in this case) can lead to fat loss in women with no change in diet or exercise (Source). There are no similar studies for Juice Plus+®. On that basis alone, the evidence suggests that Juice Plus+® is inferior to a generic multivitamin. Juice Plus+® can prove that they provide small amounts of 4 nutrients. A multivitamin will provide over 30 nutrients, to include vitamins, minerals, antioxidants, and phytochemicals. What’s more, the multivitamin will disclose the names and quantities of the (naturally occurring) chemical compounds within it, such as specific phytonutrients such as Lycopene. The counterpoint, straight from the salespeople, is that Juice Plus+® is “food” and does not therefore have Supplement Facts. All supplements are required to have Supplement Facts. So that you know what is in them and what benefits you are supposed to receive. It does not make any sense that Juice Plus+® does not have Supplement Facts listed. This is another Red Flag. The entire thing is a logical fallacy. If Juice Plus did have supplement facts, they’d have to disclose that their product contains very little vitamins or minerals. In contrast, check out the Multivitamin Fact Sheet for EXOS multivitamin HERE. For less than $1 per day, it provides the optimal amounts of many vitamins and minerals. It has clinically researched ingredients of the highest quality. Whereas Juice Plus supplements with the synthetic form of folate, folic acid. Key Point: Research clearly shows that you need to actually eat fruits and vegetables to benefit from the nutrients within. Many of the established health benefits that are found in fruits and vegetables can be attributed to four things. Vitamin A – Important for vision, bone and tooth growth, and immune system health. Vitamin E – Important as a major antioxidant. Folate – Important for cell growth. Shown to reduce homocysteine levels (which are linked to levels of inflammation in the cardiovascular system). The common denominator is that all four vitamins found in Juice Plus+® improve immune system health or function as an antioxidant. Each of the vitamins is present, often in higher quantities, in a multivitamin. Antioxidants reduce inflammation. Fruits and vegetables are both rich in antioxidants. Phytochemicals are a catch-all term for a variety of chemical compounds that are found in fruits and vegetables. There may be over 4,000 of them. They are naturally occurring and are attributed to various health benefits. In general, research is being done to identify the specific benefits of phytochemicals. The research shows that phytochemicals work best “in their natural state”. As in, if you want the benefits of fruits and vegetables, you need to eat them. Studies have repeatedly shown that it is the combination of phytochemicals in fruits and vegetables that creates their positive benefits. Research has not yet supported the effectiveness of phytochemicals in isolation and indicates that they are most effective when eated in whole foods. (source) Remember, diets high in fruits and vegetables have been shown over and over to reduce the risk of cancer, cardiovascular disease, stroke, and even Alzheimers. But you must eat them. The scientific research CLEARLY suggests that powdered fruits and vegetables will not provide similar benefits as fruits and vegetables. The claim that powdered fruits and vegetables are the “next best thing” is highly doubtful. You would be better off taking a multivitamin ($20-40 per month) and a powdered greens supplement ($30-40 per month) than you would taking Juice Plus+® ($45-75 per month). Laboratory analysis has repeatedly shown that Juice Plus+® provides meager amounts of Vitamin A, C, and E, along with Folate. That’s it. The multivitamin alone is vastly superior and you will save money. The results that Juice Plus+® can prove is likely a result of Vitamin A,C, and E supplementation. In which case, a multivitamin is sufficient. There are no studies that compare a multivitamin-only to Juice Plus+®-only to a placebo. I suspect this is intentional. My recommendation: Stick with a multivitamin. The benefits of multivitamins for overcoming nutritional deficiencies are clear. They are affordable. They can be bought in pharmacies and from reputable dealers. The ingredient and supplement facts are clearly stated. There are far greater vitamins and minerals present in any multivitamin than are present in Juice Plus+®, which only provides Vitamins A, C, and E; along with folate. Vitamin A, Vitamin B (1,2,3,6,12), Vitamin C, Vitamin D, Vitamin E, Vitamin K, Folic Acid, Biotin, Calcium, Iron, Phosphorus, Iodine, Magnesium, Zinc, Selenium, Copper, Manganese, Chromium, Molybdenum, and Potassium. According to its own research, Juice Plus+® only contains Vitamin A, C, E, and Folate, along with minor amounts of some phytochemicals. Based on laboratory analysis and existing scientific research, there should be nothing in Juice Plus+® that would prevent against disease. In fact, Juice Plus+®’s own website states that it will not treat or prevent any diseases. I’ll repeat that: Juice Plus is only declared to contain Vitamins A, C, E, and Folate, per its own studies. The amounts of powdered fruits and vegetables in each capsule are unknown. You have only their word to go on. When tested in studies, Juice Plus only has Vitamins A, C, E, and Folate, plus minuscule amounts of anti-oxidants. If you’d like proof, consider this peer review of a major Juice Plus study (emphasis added). This study confirms my main points, which I back up with my own criticism of EVERY published Juice Plus study. You can find my notes on each study after my Article Summary below. “Our major criticism relates to the fact that the fruit and vegetable capsules used in this study, according to the manufacturer, were enriched with pure β-carotene, ascorbic acid, vitamin E and folic acid, which was not stated in the article. The only significant changes due to the intervention were an increase in β-carotene, ascorbic acid, vitamin E and folic acid. The supplemented micronutrients explain much of the reported effects and leave the question open as to whether the fruit and vegetable supplement itself induced any significant effects. Furthermore, although the vegetable blend was made of carrot, broccoli, spinach, tomato juice extract and kale leaf powder, which contain a variety of carotenoids, only β-carotene increased significantly, whereas plasma lycopene and lutein+zeaxanthin did not change at all. This indicates that the supplemented pure β-carotene was bioavailable, but the native carotenoids from the vegetable capsules were either not contained in the capsules or were not bioavailable. Source Here. To be clear: the increase in blood levels of vitamins A, C, and E were caused by supplemented (added) vitamins and minerals and were NOT caused by fruits & vegetables. 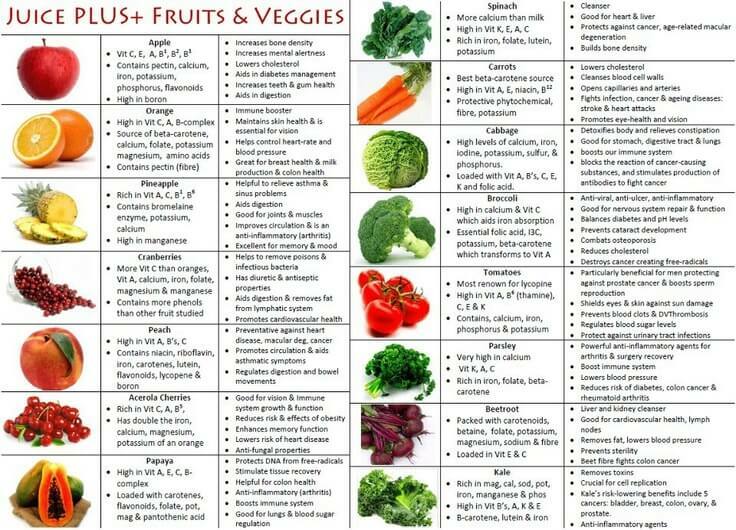 Remember, fruits & vegetables are more than just simple vitamins and minerals. They also contain a variety of compounds and phytochemicals, none of which were improved. 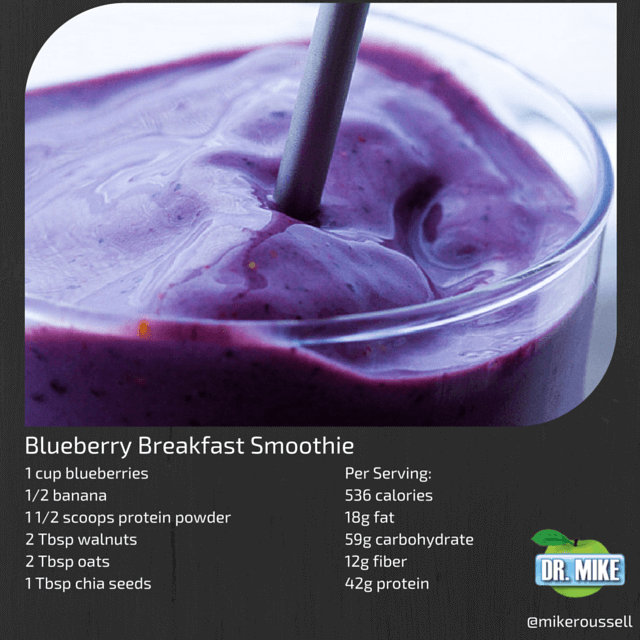 If you want to start making delicious smoothies on your own, with real WHOLE foods and a recipe book with full nutritional information, check out Dr. Mike Roussell’s “Ultimate Book of Smoothie Recipes” here. The recipe book is only $19.99, it’s from an advisor to Men’s Health magazine, and Dr. Mike has his PhD in Nutrition. Best of all, making your own smoothie retains the fiber present in fruits and vegetables. One of the key drawbacks of Juice Plus is that there is no fiber present, making it vastly inferior to real foods. The smoothies in this recipe book work for fat loss, muscle gain, overall nutrition, and meal replacement. There’s even a system for modifying the recipes to fit your own caloric needs. What does the research on Juice Plus+® say? Let’s look at that claim that Juice Plus+® is the “next best thing” using the research that Juice Plus+® themselves have funded and set out. First, I’ll explain some basic criteria for examining a scientific study. First: What is a “confound” in a scientific study? A confound is anything that could create an unexpected effect in a study. Well-designed studies take every conceivable action to reduce the risk of having a confound. For example: Say a study on a weight loss supplement forgets to control the diets of its participants. Because each participant could have been on a different diet, their weight loss (or lack of weight loss) could be because of their diet and not the supplement. If a study has too many confounds, it’s seen as less legitimate. Most scientific studies are double-blind, placebo-matched. Double blind means that neither the researchers OR the participants know who is receiving what treatment. This prevents the expectations of either the participants or the researchers from tainting the results. A single blind study is a confound. Placebo-matched means that there is a group receiving a fake treatment. The power of positive thinking is real. If you believe in a supplement, it will be more effective. When speaking with Juice Plus+® sales representatives, they immediately tout the body of research that has been done on Juice Plus+®. The claims that they do make are in relation to the research that Juice Plus+® has funded on their product. For this article, I read every study referenced by Juice Plus+® on this page. They do not compare the effects of Juice Plus+® versus a Multivitamin alone. Many of the studies only compare Juice Plus+®, or Juice Plus+® and a Multivitamin, to a placebo group. In which case, the Juice Plus+® group always wins. In addition, many of the subjects in the studies are noted to consume less than 4 servings of fruits and vegetables per day. This places them at risk for dietary deficiencies. People that supplement Vitamin A, C, and E are doing better than those that don’t. That’s it. That’s all that you can really extrapolate from these studies. Many of the health benefits that are touted can be directly connected to Vitamins A, C, E, and Folate. So, here’s what I’m going to do. I’m going to look at each study, and use them to state that minimal supplementation of Vitamins A, C, and E are beneficial for gum, heart, immune, genetic/DNA, and oxidative health. Because that’s all the studies really say: Supplementing with each vitamin, enough to meet the daily minimums for health, is enough to see some sort of a health benefit. In fact, each study only mentions that Juice Plus+® contains Vitamins A, C, and E. They go on to mention the health benefits specifically attributed to those vitamins. These studies support my hunch that Juice Plus+® is LESS effective than taking a multivitamin. The beneficial studies are funded by Juice Plus+® itself and not independent organizations. Some of the studies are single-blind only, not double-blind. The studies have incredibly low numbers of participants (<50 total) whereas many multivitamin studies examine several thousand participants. The salesperson I spoke to kept touting the perfect PDCAAS score (Wikipedia it) of Juice Plus+® Complete, their protein powder line. PDCAAS refers to how well a protein is digested by the body. It’s true, Juice Plus+® Complete does have a PDCAAS score of 1. That’s because it’s a whey protein powder! ALL whey protein powders presumably have a PDCAAS score of 1. So do casein, egg whites, and soy proteins. In other words, virtually every whey protein product has a PDCAAS score of 1. What is notable about Juice Plus+®’s protein powder is that it provides a miniscule 13g of protein. For reference, Prograde provides 24g of protein per serving and is similarly priced. In my experience, most commercial protein powders provide 18-24g per scoop. You’re literally paying the same price for half the protein as other products. The salesperson I spoke to used this line repeatedly. I mean, she was really driving this home. Juice Plus+® IS GMP-certified. This means that what is on the label is actually in the bottle. That’s great! I only recommend GMP-certified products to my clients and I’m glad to see that Juice Plus+® is safe. However, that doesn’t address my primary complaint: that Juice Plus+® is more expensive and less effective than a traditional multivitamin. Which is also completely safe. If you’re looking for a protein powder, I’d recommend taking one with more than just 13g of protein. Most of my nutrition coaching clients aim to consume 1-2 servings of protein (20-40g) per meal. 13g is barely half of a serving. A minimum of 20g is the standard for post-workout or even basic meal replacement. You can find a better meal replacement, with clinically researched ingredients shown to be effective for weight loss, here. Thorne also has a free weight management guide, found here. Instead, I’d recommend taking a more reasonably priced protein powder that has more protein. If quality and safety are your concerns, look for a brand that is both NSF Certified and GMP Certified. I recommend Thorne to my clients. It’s designed and manufactured by Thorne Research, one of the most exclusive supplement companies around. Most of their products can only be sold by medical professionals. You can learn more about Thorne Research’s Whey Protein powder here and their Vegan Protein powder here. Both powders have over 20g of protein, no additives, no artifical sweeteners, no artifical colors, no GMOs, and have only 6 additional ingredients besides protein. Juice Plus+®: What Does the Research Say? In this study, volunteers were given Juice Plus+® (Orchard + Garden), Juice Plus+® (Orchard + Garden + Berry), or a placebo. Their gum health was measured over 2 months and then again at 8 months. All 3 groups improved, including the placebo group. All 3 groups also received dental treatment for gum disease over the course of the study. The Juice Plus+® group (O+G) had significantly lower intake of Vitamin C (48mg a day) at the start of the study. In comparison, the Juice Plus+® (O+G+B) group AND the placebo group. BOTH groups began with 57mg of Vitamin C and BOTH groups saw nearly the SAME results. 60mg a day is the daily minimum to avoid scurvy. In fact, this study showed that there are NO differences in a group that takes all three Juice Plus+® supplements compared to a group that took a placebo as long as both groups were not deficient for Vitamin C.
There is no evidence to suggest that the exact same, if not superior, benefits could have occured from taking a $35 per month multivitamin. Studies have shown similar results with Vitamin C supplementation alone. In fact, this study showed that you can experience similar results just by eating grapefruit! Remember: Vitamin A, Vitamin C, Vitamin E, and Folate are all associated with improved cardiovascular health and lower levels of homocysteine. Compared the effects of taking Juice Plus on cholesterol after eating a high fat meal to that of a placebo. They did not compare Juice Plus+® to a multivitamin-only group. They essentially double-dosed Vitamin A, C, and E.
Incredibly low number of participants (<50). The placebo group saw the exact same results on cholesterol as one of the Juice Plus (taking all three) groups; that is to say, no result. The total cholesterol and LDL cholesterol was unchanged for both groups. The multivitamin is not mentioned in the results table. The study itself mentions the effect of nitric oxide being responsible for the chief results. However, it goes on to state that the effect of nitric oxide was largely caused by supplementation of Vitamins A & C.
What they found: The Juice Plus+® group had higher levels of Vitamin A, E, C, and Folate after taking Juice Plus+®. The Juice Plus+® group had lower levels of homocysteine. They did not compare Juice Plus+® to a multivitamin. This is a trainwreck of a study. According to the researchers themselves: “Limitations of this pilot study included the small sample size and lack of a placebo group.” The subjects also received other medical treatment at the same time. In short, this is a completely unreliable and meaningless study. They don’t know why it reduced cholesterol, and they didn’t compare it to a placebo, so they admittedly can’t prove or disprove anything with this study. The reason for including this study on the Juice Plus+® website seems to be that the researchers noticed a decrease in cholesterol. The researchers note that there is little evidence to support that Vitamin A or E supplementation can decrease cholesterol. However, there is again, no placebo group. Which makes it invalid. Similar to Study 1, except they looked at the oxidative health of smokers taking Juice Plus+® against a placebo group. This is a pubmed study, so I’m unable to read the entire study and not willing to pay to download it. They claim that there are improvements in the oxidative health of the smokers taking Juice Plus+® versus that of a placebo group. Again: Smokers are notoriously low in Vitamin C and their overall health improves with Vitamin C supplementation. Once again, I argue that a group taking a multivitamin would see similar, if not superior, results. This is again due to the result of supplementation with Vitamins A, C, and E. All of which have positive effects on oxidative health. The flaw of all 4 studies is that neither compares Juice Plus+® to a multivitamin. In fact, none of the studies even features a multivitamin for comparison. In other words, each study only proves that supplementing with Vitamin A, C, and E can boost the immune system compared to people that do not supplement. The takeaway again is to take a multivitamin. Juice Plus+® versus Placebo. No multivitamin group. Once again, taking Vitamin C improves your immune system. No surprises here. Take a multivitamin. Actually, the results of this study are very similar to this study that found that children that take a multivitamin have less severe colds than those that don’t (source). BONUS: the kids on the multivitamin grew faster and grew larger! Same thing. No multivitamin group. It found higher Vitamin C levels in the group that took Juice Plus+®, as well as an improved immune system. Similar to other research on Vitamin C, both the placebo and the Juice Plus+® group were sick an equal amount. However, the Juice Plus+® group had less symptoms. These results are very similar to those in studies on multivitamins. “The lower amount of DNA damage after consumption of FVJC was likely due to a variety of nutritive and nonnutritive phytochemicals, including the carotenoids and other flavonoids and phenolic acids.” All of the named compounds are available, in higher amounts and in greater variety, in a multivitamin. Interestingly enough, the placebo group experienced higher increases in their beta-T-cells than the Juice Plus+® group. Results are once again likely the effect of Vitamins A, C, E, and Folate. Redundant study that mimics the effect of a multivitamin on sickness symptoms. No placebo group!!! Automatically disqualified. Once again, no multivitamin group. The men in the study were malnourished and did not consume enough fruits and vegetables. The Juice Plus+® group did better…because they were taking Vitamin A, C, and E.
From here, the trends are mostly the same. In addition, some of the same studies pop up in multiple sections of the Juice Plus+® website. All four studies show an improvement in oxidative health. Not all of these were available to be read for free, unfortunately. Two studies were performed on smokers. As I’ve mentioned, smokers are notoriously low in Vitamin C and respond very well to Vitamin C supplementation. Once again, no multivitamin groups. One of the study was single blind, meaning that the researchers could pick which subjects received which treatment. Most valid studies are double blind because of the possibility of researcher bias affecting the research outcome. Vitamin A, C, and E supplementation is looking pretty good so far, wouldn’t you agree? Each of these studies shows an improvement in Vitamins A, C, and E after taking Juice Plus+®. Some of these studies are meaningless because the Juice Plus+® is piggybacked with nutrition counseling and other medical therapies. This is a confound in both cases. Fatal flaw: This is actually a nutrition therapy study! It has nothing to do with Juice Plus+®. One of the groups happens to be taking Juice Plus+®, but is also following a diet designed by the National Cancer Institute. The control group (normal group) is following a low-fat, high-fiber diet. Naturally, the group following the National Cancer Institute diet saw better outcomes. This is a piggyback study and is invalid. In other words, they found that when you supplement with Vitamin A (beta-carotene), it works and there is more of it in the body. No multivitamin in this group, either. Each group also received nutrition counseling. There is no way to tell if the improvements are from nutrition or Juice Plus+®. I’m betting on the nutrition, though. This study found improvements in beta-carotene (Vitamin A), and alpha tocopherol (Vitamin E) after taking Juice Plus+®. Again, these are all benefits of a multivitamin. There was an improvement in lycopene, which is commonly found in tomatoes. THAT is an interesting finding. However, lycopene is a common ingredient in many multivitamins and greens supplements as well. Same as study 3 for results: the Juice Plus+® group showed benefits in Vitamin A, C, and E. Each group was found to eat less than the recommended servings of fruits and vegetables and was therefore likely deficient. No comparison to a multivitamin group. My argument stands. The rest of these studies are all very similar to the first 4. I’m going to spoil it for you: Vitamin E improves your skin. So does Vitamin C. There are no surprises here. It was Juice Plus+® versus a placebo, no other intervention. Again, I argue that the same benefits could be realized from Vitamin A, C, and E supplementation. No comparison to a multivitamin. Study 2 featured Special Ops soldiers that consumed less than 4 servings of fruits and vegetables per day. Both groups got sick during the study. The only difference is that that the Juice Plus+® group was sick for less days (thanks, vitamin C!). As I’ve shown previously, this mimics the results of multivitamin supplementation studies. You are better off supplementing with a multivitamin. The multivitamin provides higher doses of Vitamins A, C, E, and folate while also supplying every other necessary vitamin & mineral. All in all, it is my opinion that Juice Plus+® is a waste of time, effort, and money. If you are truly worried about your health, there are a few simple steps that you can take. Invest in a quality multivitamin, like Thorne’s Basic Nutrients. It’s less expensive – it’s $27 for a multi instead of JP’s $178 to get started – and provides significantly higher value. For a high-end multi, click here. If you’re still concerned, invest in a greens supplement like Greens +. Check out www.labdoor.com‘s third party testing of supplements. They have evaluations, based on laboratory testing, of multivitamins, protein powder, probiotics, fish oil, and more. Not every brand is tested, but many of the most popular brands are. Check out www.examine.com‘s research reviews on nearly every supplement ingredient. Everything you could want to know about whey protein, vitamin C, herbs, minerals, green tea – you name it! The information is unbiased and they lay out the research very clearly. And above all, be skeptical. Be skeptical of me and anybody else that tries to convince you or sell you of anything. (Yes, I use affiliate links to support this blog and yes, you should do your own evaluation of the products I recommend before purchasing.) Please, if you found this to be educational: Share it with your friends. Share it on your facebook page. Education is the best weapon we have. Dr. Mike Roussell is one of the top minds in nutrition, especially when it comes to improving performance and dropping body fat. His smoothie recipe book is top notch. The nutrition information, and level of nutritional detail, can’t be beat. At $19.99, it’s a steal. Smoothies taste great and kids love drinking them. It’s an easy way to get kids to eat more fruits and vegetables that actually work. 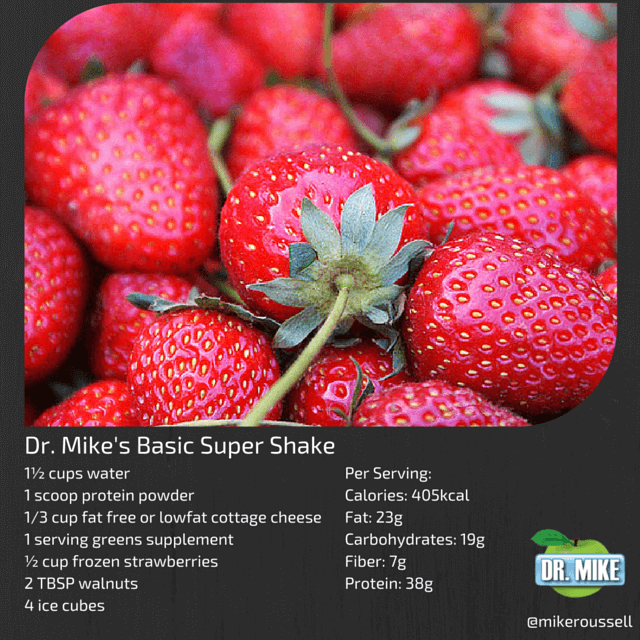 Check out Dr. Mike’s “Ultimate Book of Smoothie Recipes” here. Many of Thorne’s products are NSF certified for sport. They’re manufactured in a GMP registered facility, and are carefully formulated to provide the right amounts of nutrients. They contain clinically researched ingredients and Thorne itself has a research partnership with the prestigious Mayoclinic. It’s also the official supplement partner of over 7 U.S. National Governing Bodies for Sport. I’m able to recommend Thorne because of my education and certifications in nutrition. It’s typically only offered by Doctors, who must invite their patients. It’s regarded as one of the highest quality supplement companies. The multivitamin is less than $1 per day and provides optimal coverage for vitamins and minerals. My favorite thing about this multivitamin, besides the reasonable price, is the high amount of B Vitamins, Chromium, and Vitamin D3 that it contains. You can buy it here, and you can see the full fact sheet, with nutritional label, HERE. The protein powders are top-notch and are only $2 per 20g serving of protein. I’m happy to recommend EXOS to my personal training clients because of the high quality product, the reasonable price, and the production quality. You can buy it here and see the full fact sheet here. For the vegan protein, you can buy it here and see the full fact sheet here. They also offer a vegan meal replacement shake, seen here, as part of their free weight management program, which you can get here. EXOS is free of artificial sweeteners, artificial colors, unnecessary additives, and GMOs. When I set out to write this article, I planned on featuring the work of others. It turns out that the studies cited by Juice Plus+® themselves are so flawed that I didn’t need to. There are studies cited throughout the article as direct links, as well. I’ll provide a few sources and give you some of my main takeaways. There are 11 sources (including the Memorial Sloan-Kettering Cancer Center, UC Berkeley, and the Center for Science in the Public Interest) that “express doubt” in Juice Plus+®. Other sources show that the studies, besides being unreliable, show wildly differing results in the effect of Juice Plus+® on Vitamins A, C, E, and Lycopene. The Better Business Bureau has formally complained about one of Juice Plus+®’s former products, which has since been discontinued. Juice Plus+® may interfere with chemotherapy, according to the Chief of Integrative Medicine at the Memorial Sloan-Kettering Cancer Center. For the science geeks among you, the Wikipedia page does feature a more interesting take down of the studies themselves. Notably, that the shown results are quite ineffective and statistically inconclusive. Reading the sources provided therein should be amusing. #2 – Quackwatch and MLM Watch give it a F.
Of key note is the statement that Juice Plus+® does not provide fiber, whereas consuming fruits and vegetables does. Several of the health benefits of fruits and vegetables come from fiber. #3 – Google Scholar. It’s amazing what a quick search for “Vitamin C gum health”, “Multivitamin gum health”, and “Multivitamin common cold” can turn up. #4 – Precision Nutrition has two great articles on multivitamins and leanness (here), vitamins & minerals (here), and fiber (here). I’m excluding the Juice Plus+® funded studies. Those can be found, and read, here. They are also linked throughout this article. Juice Plus+® and JuicePlus.com® are registered trademarks of The Juice Plus+®+ Company. The statements contained in this article are the sole opinion of Devin Gray and do not represent any other company, entity, or provider of nutrition supplements. This page contains affiliate links for Examine.com, EXOS, and Clickbank. Please consider using affiliate links as providing a tip for my time and effort into writing this article. I have spent over ten hours of work on this project, and it began as a simple response to a local salesperson. Since then, it’s helped over 100,000 people learn more about Juice Plus. Comments have been removed from this article in the interest of optimizing page loading speed. Please direct all comments to [email protected] or to our Facebook Page.